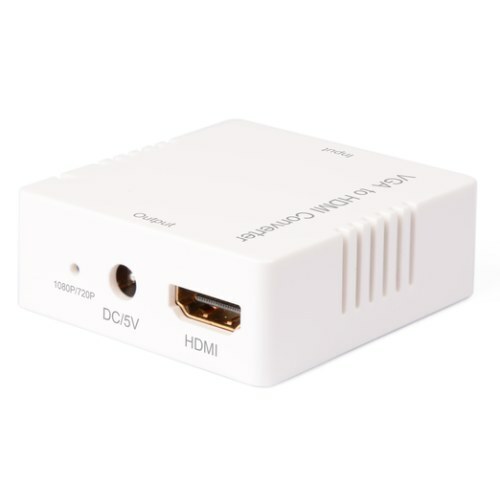 This kind of the Converter is a VGA video converter. 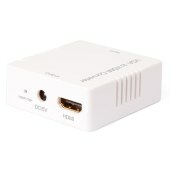 It converts VGA input into HDMI and allows users to enjoy their larger and high-definition image on TV. The conversion is along with the stereo audio. Conversion: It could convert PC’s VGA video and Stereo audio into complete HDMI. The VGA input supports all VGA resolution. HDMI output supports 720p and 1080p resolution (Users can change the resolution by switching the built-in button of the product). Support HDMI 165MHz/1.65Gbps per channel (6.75Gbps all channel) bandwidth. Support HDMI 8bit per channel (24bit all channel) deep color.